If your candy store needs cash flow, money to remodel, purchase equipment of just needs a small business loan for something else, you now have options. Much has been said and written about the impact the financial crisis of 2008 had on customers. But it also had a massive impact on the way businesses like candy stores could get money for growth. 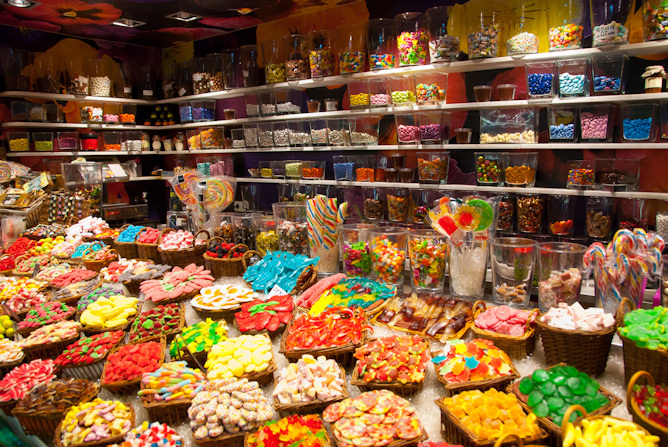 In the United States alone there are nearly 4,000 candy stores employing almost 45,000 people. This is a big business and your candy store deserves the influx of cash it needs. Getting that cash is easier than ever through Silver Rock Funding. Silver Rock Funding looks to provide business owners with access to our network of lenders who can get you the funding you need (even if you have bad credit). One of the most popular forms of financing offered through Silver Rock Funding is the merchant cash advance. This alternative loan works by allowing you to pay back your loan through the credit card receipts in your store. One of the most favorable parts of small business funding is that the process is quick and painless and can get you between $5,000 and $500,000 for your candy store---fast. The approval can come within 24 hours and you could have the cash in your account funded within 72 hours. Now is not the time to wait for that cash you need for marketing, payroll, or something else. For most small business loans, you are going to need to submit six months of bank statements and three months of merchant processing statements. The Silver Rock Funding difference begins when you receive the personal touch and assistance of a funding manager dedicated to your account. This allows you as a business owner to get the questions answered you need and the personal care you deserve. Help your candy store grow and do so from the convenience of your computer. Silver Rock Funding is ready to help you today and you could be on your way to getting the alternative lending you need. Silver Rock Funding is dedicated to candy shop business loans and recently published an article on this exact industry and detailing how these business can thrive in the current marketplace. Get started now and get financing through Silver Rock Funding.